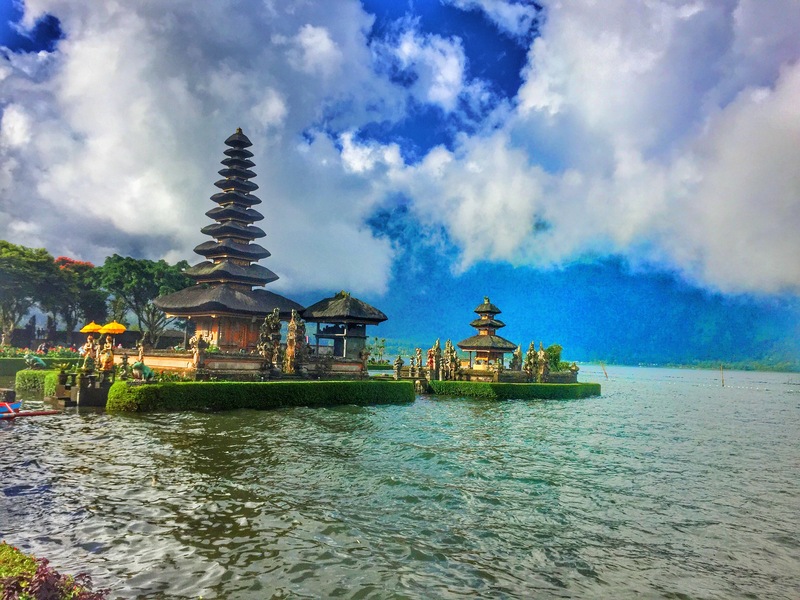 Most of the our team has been to Bali (even multiple times). It is definitely a very laid back destination but if you are in search of a beachy vacation, we would recommend you go elsewhere in Southeast Asia. While there are some nice beaches, it definitely isn’t the main draw nor should it be. Kiran of Wanderlust Crave who recently wrote about a layover in Tokyo is back with her practical tips to Bali. My father always taught me that many of my limitations were self perceived, and thus, quite conquerable. If you’re like me, you’ve always imagined Bali to be some far off exotic destination not within your reach of time or funds. I learned that’s just not true. 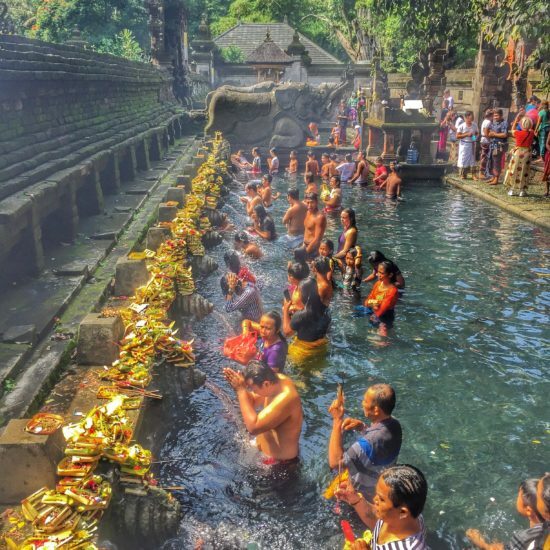 I found a roundtrip ticket from Washington DC to Bali for $828. The best part of it was that we could manipulate the timings to get an 18-hour layover in Tokyo. That afforded us the ability to see another city at no additional cost. Once you have your ideal flights booked, next comes the fun part – booking your stay! Then you have to decide what type of accommodation you want. There are two schools of thought on this, those who would like to stay in an “authentic” Balinese type villa or those that prefer using points and staying at a hotel. I felt the luxury and amazing opportunity present in a traditional Balinese villa couldn’t be beat. Balinese villas are also a fraction of the cost of a traditional hotel room, and usually come with a private plunge pool. The downside to these fantastic deals is that they usually have a handful of rooms each, which book quickly. I used TripAdvisor and Lonely Planet to figure out I wanted to stay at the Ladera Villas Ubud. My time would be limited in Bali considering all the flight time. With just 5 solid days in Bali, I decided being in the heart of the action worked best for me. Having access to a private plunge pool in my villa at Ladera Villas meant that despite being amid the hustle bustle of central Ubud, I had an oasis of serenity after a long day of tourism. Before you visit, about a month out I would say, try to book all your spa treatments. The reason being, the best spas seem to never have last minute availability. Personally, I love Bali Botanica. Not only can you easily book online, but they will pick you up and drop you off to your hotel. The environment and treatment was luxurious, with a bargain basement price. They also accept all major credit cards. In order to see the best temples, you should book a private driver instead of a tour. You can even have the driver pick you up at the airport if you like. If you wanted to book a tour, it would end up costing nearly triple the cost of a driver (average daily driver rate runs about $38/ 8 hour day, all costs included) And you can pay for temples in cash. The benefit of a private driver is also in seeing a glimpse of the real Bali. On winding roads you can stop and take pictures wherever you would like! We used Dewa Gede and he spoke excellent English, he is responsive to email [email protected] (+62 852 38493089). You should divide your tourism into “sectors”. North, South, and East of Ubud. 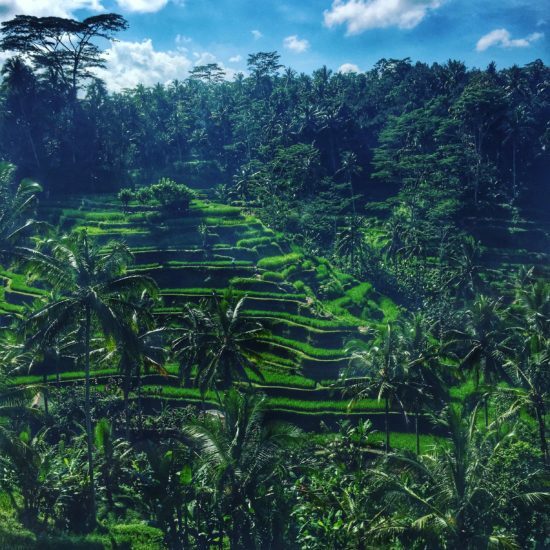 Ubud is central, and so it’s a great starting point for any number of destinations. You can group several southern temples into one day (including lunch at the rice terraces) and you can also plan your day around catching a spectacular Balinese sunset. Try to avoid nice air conditioned stores. The real action happens in the open air markets, of which there are plenty. There is a beautiful art market in the grounds of the Tanah Lot temple. There is also a daily market in Ubud central where you should be prepared with cash in hand, and bargaining skills! Overall, Bali is an art lover’s paradise. And if you pack lightly, you can take a lot of amazing new trinkets back home. The food is amazing in Bali, it is fresh, and it is inexpensive. One of my favorites is Café Des Artistes where a high quality rib-eye steak cooked to a perfect medium will set you back about $13 USD. For those wishing for something fancier, Locavore serves a divine tasting menu for ~ $42/pp USD. Its Michelin quality, and Locavore consistently lands of the World’s Best dining lists. Reservations are easy to make, but should be made in advance. If I haven’t convince you enough, you should check out the brief video Huqa Films made evoking Bali’s splendor. Kiran Iqbal is an avid traveler whose mission it is to visit at least 8 new countries a year. She’s been to over 60 and takes great pride of passion in her photography and food tasting skills. Follow her on Instagram @WanderlustCrave or Twitter at @WandrlustCrave and read her blog at Wanderlust Crave. 3 Responses to "Practical Travel Tips: Bali, Indonesia"
I wanted to thank you for mentioning Dewa. I just came back from Indonesia and he was GREAT! We had him for 5 out of 7 days. He took us to the most AMAZING places that weren’t riddled with tourists. Hi! I also want to say thank you for mentioning Dewa! My friend and I got back from Bali last week and had him as our driver for 2 days. He was incredible helpful, had great suggestions for how to use our time (but was open to do anything we wanted) and got us great access/deals for rafting & a great wood working art gallery. i HIGHLY recommend you reach out if you are traveling to Bali.